Wayra is launching a new call for applications in Latin America and Europe, Telefónica’s startup accelerator announced before kickstarting its first global Demo Day in Miami. For the first time and going forward, its call for applications will be global, simultaneously offering places at any of Wayra Academies that have vacancies, and allowing all of these to look for new startups at the same time. 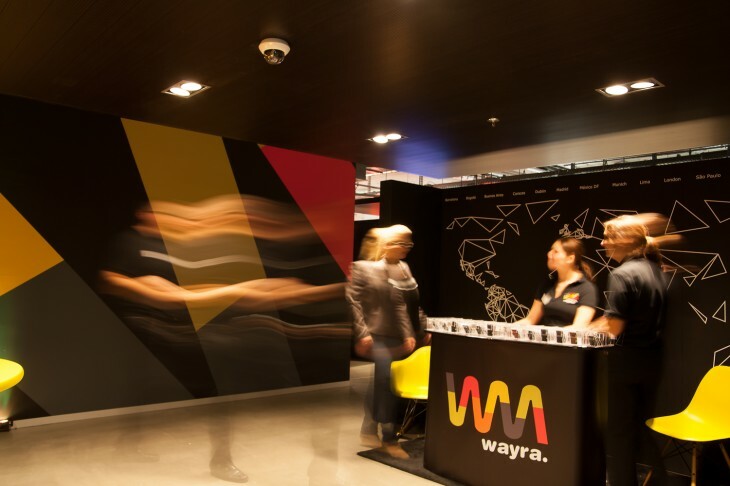 As you may know, Wayra first launched in Colombia in July 2011, and subsequently expanded across several Latin American countries before entering Spain, the UK, Ireland and Germany over the last few months. In addition, it is also announcing the upcoming inauguration of a new Academy in Prague, Czech Republic, which is meant to become a hub for Eastern European statups. The application process will run from December 12th to January 21st, with vacancies to fill in Barcelona, Bogotá, Buenos Aires, Dublin, London, Madrid, Munich, Santiago and São Paulo. Chances are there will be many candidates, as Wayra has already received over 13,000 applications during its previous calls for projects. aaTAG (São Paulo Academy) uses technology to help supermarkets and stores manage their stockers. AgentPiggy (Santiago Academy) is a web platform that enables parents to educate their children on finance through its online environment. As you may remember, it won TNW Chile Startup Awards and was one of the finalists of TNW Conference Latin America’s Startup Battle. Akdemia (Caracas Academy) is an online service that improves school management and communication between teachers, parents and students. Bevelity (Barcelona Academy) brings true 3D scenes to the browser via its native HTML5 output, letting users interact with them in real time. BragBet (Dublin Academy) is a social sports betting network that enables groups of friends or work colleagues to decide which events they would like to bet on (see our previous post). ClearKarma (Munich Academy) helps consumers find out more about the food they buy and eat thanks to its mobile app. Cleverlize (Munich Academy) helps teachers and educators to build and sell mobile e-learning applications. Cloud66 (London Academy) allows developers to build their own Heroku, on their own servers. Cognicor (Barcelona Academy) is an automated complaint resolution service which minimizes the need for human intervention. It has recently won the EU-wide Tech All Stars Competition. Coquétame (Madrid Academy) offers a free ‘personal shopper’ service, integrated into the stores of the brands it works with. Invoost (Madrid Academy) is a share buying and selling game in which the users compete in tournaments using virtual money which can be converted into chances to make real gains. Kubo Financiero (Mexico City Academy) is an online marketplace that enables its users to lend money and make investments. Machina (Mexico City Academy) is a brand of men’s clothing that incorporate portable technology in its designs. Papaya (Lima Academy) is a movie information and ticket sale portal, also available via mobile devices. PositiveID (Bogotá Academy) is an identity verification network that offers security to clients and organisations during their daily interactions. Quolaw (Buenos Aires Academy) offers a legal tool in the cloud that helps lawyers and law firms work efficiently. TedCas (Madrid Academy) is a ‘Minority Report for healthcare’: using Microsoft Kinect, its technology helps doctors and nurses to access digital information remotely and in a totally aseptic manner, using only gestures. Guest speakers include Managing Director of Silicon Valley Bank (SVB) Gerald Brady, and Gust CEO David Rose. Representatives of Telefónica’s Silicon Valley-based venture capital team and Amerigo fund managers are also attending, alongside a large number of investors, partly thanks to the fact that America’s Venture Capital Conference (AVCC) is starting in Miami tomorrow in Miami. Disclosure: Wayra paid for TNW’s lodging in Miami.